If you are already preparing your holidays, what about considering some of the most relaxing spots in the Mediterranean? I know, all of them seem lovely, and making the choice seems overwhelming. With so many gorgeous options, it is hard to pick just one. I have lived in Italy for the past five years and have done my share of Mediterranean travel, both relaxing and not-so-much. The following spots are my favorites in regards to the most relaxing experiences in the Mediterranean. This is one of those vacations you dream about once a week before visiting, then every night for years after you leave. My boyfriend is Sicilian, and he has shown me most of the fantastic and enchanting island. If you want the perfect backdrop to fall in love, spend your holidays in Taormina, Sicily’s most romantic spot. From the traditional narrow Italian paved streets to the cozy, small main piazza to the balconies painted all colors of the rainbow by various flowers, Taormina is breathtaking. Soak in the roads, the beaches, the mountains and the sea all from one vantage point: the ancient Greek theater in the center of town. Now I am guessing you’ve never heard of Almeria, because it is one of the best kept secrets in the Mediterranean. So go and visit, before it gets overrun by tourists! Almeria offers some of the most pristine beaches and best food in Spain. It is located halfway between Alicante and Malaga. You won’t find big buildings and beachside resorts, so it is the perfect spot to get some solitude with that special someone on a beautiful natural beach. On top of that, it is super cheap to drink and eat amazing Mediterranean dishes. The tapas are free with your drink, which means fish and chips, beer, and a salad for just 2.50 euros! Who could ask for more? 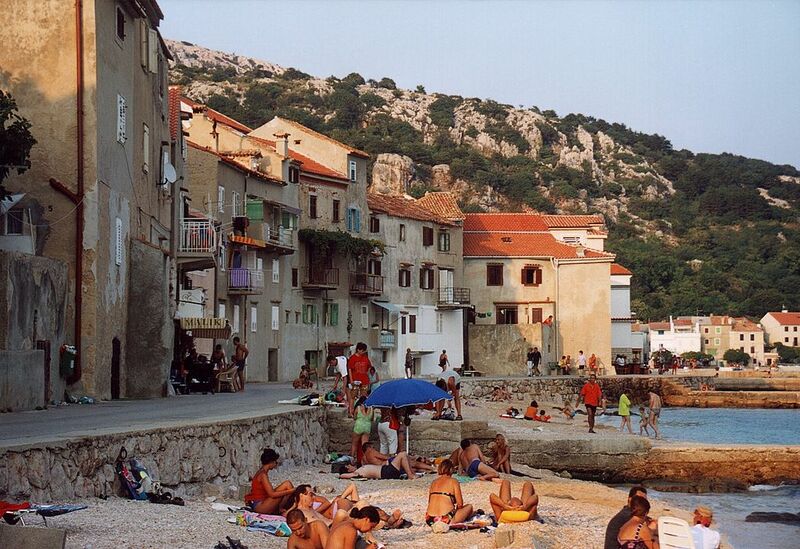 Croatia is also a well-hidden secret in the Mediterranean, meaning relaxing, affordable, and genuine. Take a trip from one of the bigger cities like Zagreb, Split or Dubrokvnik and discover the small little towns dotting the Croatian countryside. It is here that you will get a real sense of Croatia, with cute roadside stalls selling the freshest fruit and vegetables. You will find Croatian women selling gorgeous handmade lace and men playing cards in the cafe bar, chatting about life in general. You will also find world class ancient sites. From Zadar, the former capital of Croatia, Nin, is just a half-day trip in the car or bus. Nin offers amazingly well preserved Roman ruins juxtaposed with classy modern architecture. Shhh… better keep this one quiet or a mass migration of tourists will arrive and contaminate the most clear and beautifully turquoise water in the whole Mediterranean Sea. The ocean is swarming with life thanks to the pristine water conditions, which makes for fantastic visibility when snorkeling or scuba diving. The mountainous desert landscape contrasts in a spectacular manner with the pristine, unspoiled, natural Spanish beach of Cabo de Gata.